Kannauj is one of the famous cities in northern state Uttar Pradesh. 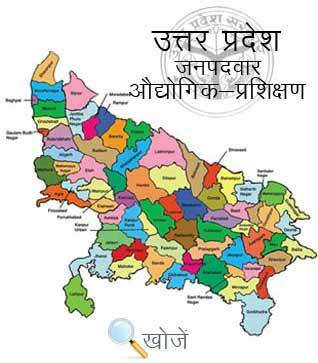 It is a Municipal Board or Nagar Palika Parishad and is the Administrative Headquarters of the Kannauj District. It is quite famous for its Perfumes (Attar) and is known as Attar ki Nagri or Perfume Capital of India. The literacy rate of the city is 71.92% which is the higher than the state average 67.68%. The city boasts some of the best Government Colleges, Private Colleges, Professional Centers like Government Medical College, Government Engineering College etc, imparting higher and quality education to the students. To understand the need and requirement of technical skills in country, there are various Industrial Training Institutes and Industrial Training Centers opened to provide technical education to the students. They constituted under Directorate General of Employment and Training (DGET) Ministry of Skill Development and Entrepreneurship. At present, the city has 1 Government ITI. Training Period ranges from 6 months to 2 years according to student interest. The prerequisite to enroll in various courses is Matriculation with the minimum age of 14 years. In the state of Uttar Pradesh, Vyavasayik Pareeksha Parishad (www.vppup.in) is responsible for conducting the entrance examination for admission to different courses in ITI’s. Also, students can visit online official portal www.upiti.in as well. It offers all kind of up to date information to the students regarding admission, results, online downloading application forms and important notifications etc. to save their valuable time.